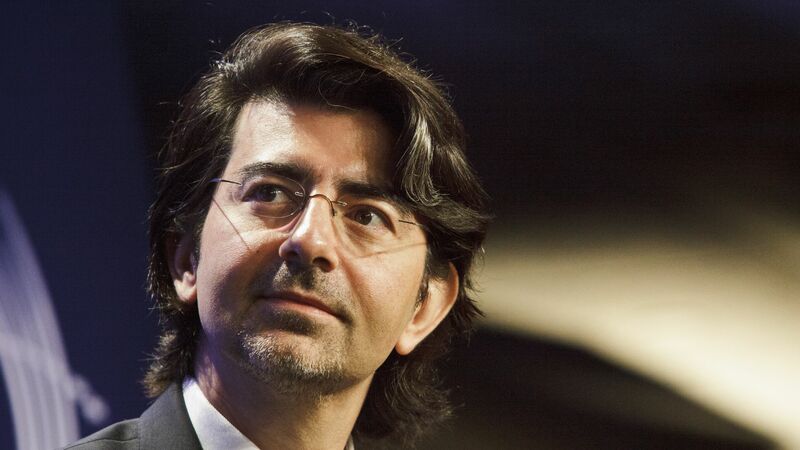 A Silicon Valley titan is putting big money behind exploring his industry's broad societal impact: eBay founder Pierre Omidyar is backing the the newly-formed Center for Humane Technology as it elevates the debate about tech addiction. Why it matters: Technology giants have long funded a wide range of non-profits and advocacy groups that share their viewpoints. Now money from an unlikely mix of sources is starting to flow to their critics as well, helping to stoke the "techlash" flames. In September, the Omidyar Network gave a $300,000 short-term grant to what is now the Center for Humane Technology, run by former Googler Tristan Harris, to capitalize on the growing interest in the negative effects of tech products. The organization announced this month it's running a "Truth About Tech" advocacy campaign with media watchdog Common Sense. “They’re looking to raise a much larger tranche of funding, which we are working with them to craft,” said Paula Goldman, who leads Omidyar’s Tech and Society Solutions Lab, which was unveiled last week. “There’s a lot of interest in what they’re doing." Harris’ group has yet to achieve non-profit status, so they reached an arrangement with Reboot, the non-profit behind the National Day of Unplugging, to act as their “fiscal sponsor” so they could take tax-deductible donations as interest in their work grew among foundations, said Reboot Executive Director David Katznelson. Common Sense, Harris’ partner in the Truth About Tech advocacy campaign, is already flush with cash. The organization listed more than $19 million in revenue in a 2015 tax document. Several recent donors have industry ties, such as the Bill and Melinda Gates Foundation and Lynne and Marc Benioff. Colby Zintl, a spokesperson for Common Sense, said that the donated airtime was going to broader initiatives on digital well-being, not specifically the subsidiary Truth About Tech campaign. “Comcast has not donated any media or airtime to The Truth About Tech campaign,” said Sena Fitzmaurice, a spokesperson for the cable giant, in a statement. Where it stands: The Center for Humane Technology is in conversations with other organizations about funding, Goldman said, declining to provide details. There’s been interest among both donors linked to the tech industry as well as more traditional philanthropies — something Goldman chalks up to Harris’ ability to speak to people in and out of Silicon Valley. “I’ve never seen this sort of situation before,” she said. The bigger picture: Omidyar’s donations already go beyond the public health questions Harris is raising and, Goldman said, include not only her project but others within his broad philanthropic network. "We think there's a need for a new norm across these tech companies as products are being designed and put out into the world to be able to predict these types of societal downsides and avoid them,” said Goldman. Other philanthropic organizations are addressing these issues too. In September, the Knight Foundation announced a $2.5 million commitment to projects that address declining trust in media in the internet age. “Internet is potentially the greatest democratizing tool in history, but it is also democracy’s greatest challenge,” said Alberto Ibargüen, the foundation’s president, at the time.